There are 5 seasons in our world. Winter, spring, summer, fall, & awards season. Guess which one is the fairest of them all? It’s the happiest time of my year. Gowns, lights, upsets, heinous acceptance speeches – I am just jubilant! Things I loved about tonight’s Golden Globes: Tina & Amy – duh. Jennifer Aniston’s legs – kill me. Bill Cosby roasting. J’lo’s globes. Prince. Kevin Spacey – I’m not single, but I might love you? Every time the camera panned to John Krasinski. George Clooney – what smooth planet did you come from? Things I did not love: Jane the Virgin winning – what are you & where did you come from? Amy Adams – you’re so overrated it physically hurts me sometimes. Every time the camera panned to Claire Danes. Not seeing Leo. 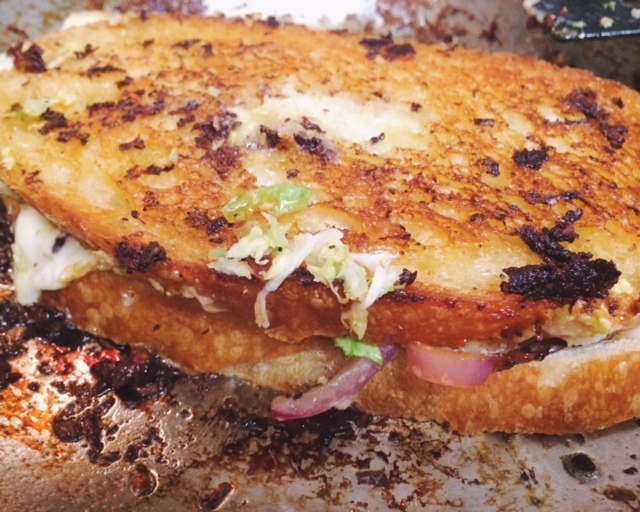 This decadent grilled cheese was the perfect compliment to my night of euphoria. Idk but now that you’ve been enlightened, you must give it a try! I have added it to my menu for this week. Thanks! This is pretty mind blowing to me. 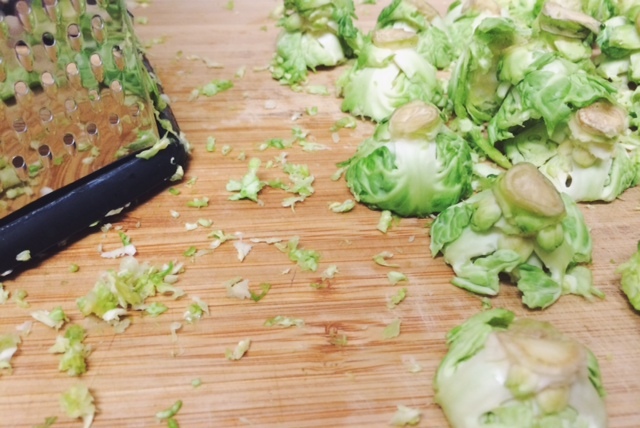 Brussels sprouts on a grill cheese? Wow! Perfect way to hide my veggies! This is stupid good. Give it a try, Debbie! I just might. Curiosity will get the best of me! Oh delish. Definitely wish I’d seen this when I was closer to my kitchen (not at work) !! 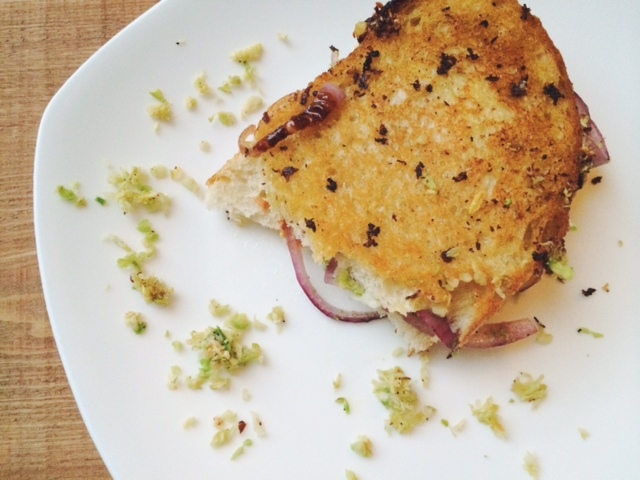 Thanks for liking my bruschetta post and your sandwich is perfect for my lunch tomorrow, yum! I think I might find some comfort in this inventive grilled cheese sandwich though. Yum! Oh my. How have I never thought to make something like this before? 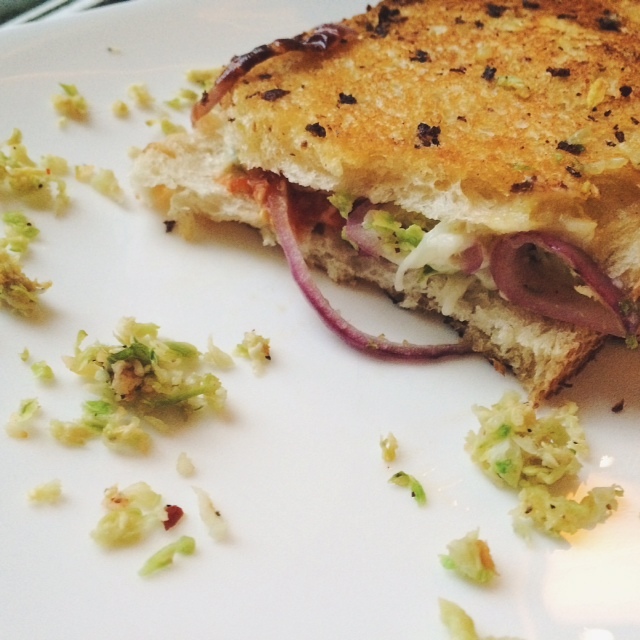 I’m pretty sure that Roasted Brussell Sprouts + Pepperjack cheese = Heaven on bread. 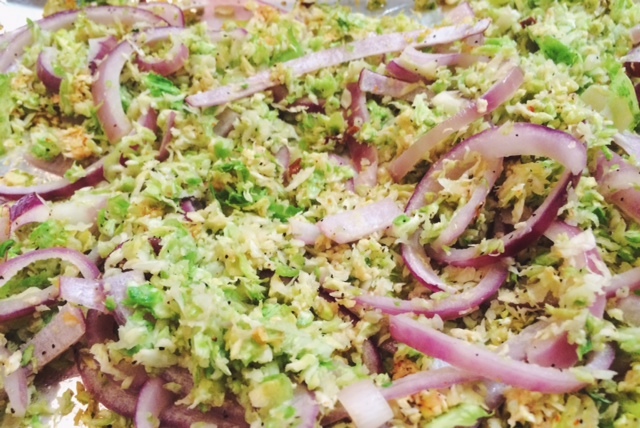 Thanks for stopping by my blog so that I could find yours and all these amazing recipes!